All three branches have similar menus but the flagship is the one in Greater Kailash. Owing to the popularity of its food, it is frequently a challenge to bag a table. All the tables in the Greater Kailash and Connaught Place outlets are meant for six persons each. 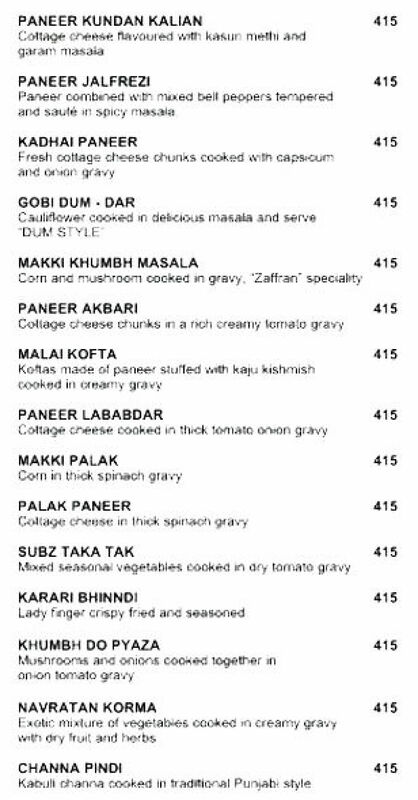 The menu is traditional North Indian with Sindhi biryani being the lone dish that stands out. 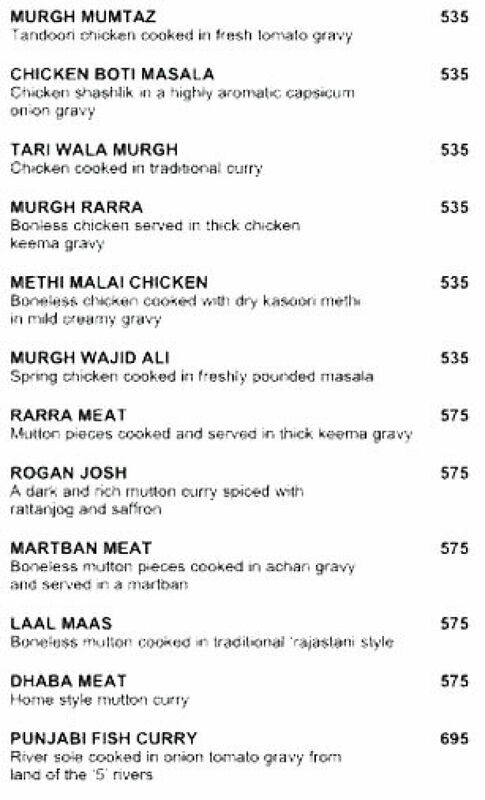 The best things on the menu are the lamb dishes: rahra meat, martaban meat, lal maas and raan-e-kasbah. There are some menus in the city that still manages to surprise a diner with its traditional theme and authenticity. It doesn’t have to be of international variety to woo your refined palate. A good old authentic North-Indian menu carries the power to entice your taste buds as well. They may be old school but they pack quite a flavourful punch. They have earned a reputation by producing high quality food constantly and by sticking to their traditional values. Such is their popularity that it becomes quite a challenge to secure a table at these restaurants. ‘Zaffran’ is a heavy-weight in culinary world when talking about North-Indian food. We owe much of the popularity of this cuisine to Zaffran which has generalized the authentic Mughlai recipes by adding them to their menu. 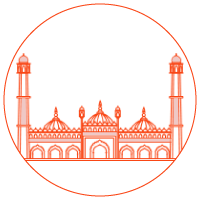 Due to the popularity of Zaffran’s food it is quite difficult to bag a table here so it comes as a blessing that the brand has three outlets in various corners of the city. Greater Kailash-1 is their flagship outlet and is most visited establishment by local families and even businessmen. Take someone there who wants to experience the true wonder of Indian cuisine. There is no better place to enjoy North-Indian food than at Zaffran. 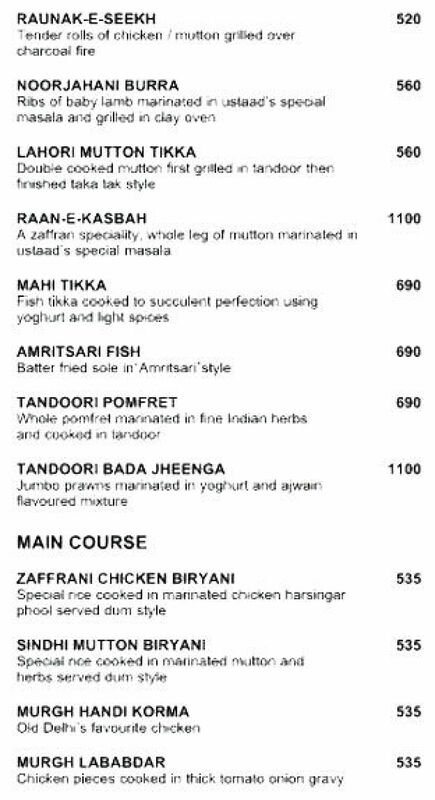 Connaught Place and Sector 30 in Gurgaon too boasts of a Zaffran outlet. The Gurgaon branch is most conventional of all but if you want to truly enjoy their magic then do visit their CP and GK branch which is designed in a very charming manner. Lot of wooden accents are used in tapestry and canopies to bring in the outdoor look. Even after being an expensive establishment diners still enjoy their North-Indian and Mughlai fare frequently. First of all choose a nice drink to go with their appetizers, trust us you will enjoy them much more. Begin with, tandoori bharwan aloo, jhumta kukkad, paneer adraki, tandoori bada jheenga, Kashmiri seekh, amritsari fish, Bhatti ka paneer, mahi tikka, chicken churga, khumb nawabi, chapli kebab, paneer malai seekh and noorjahani burra. 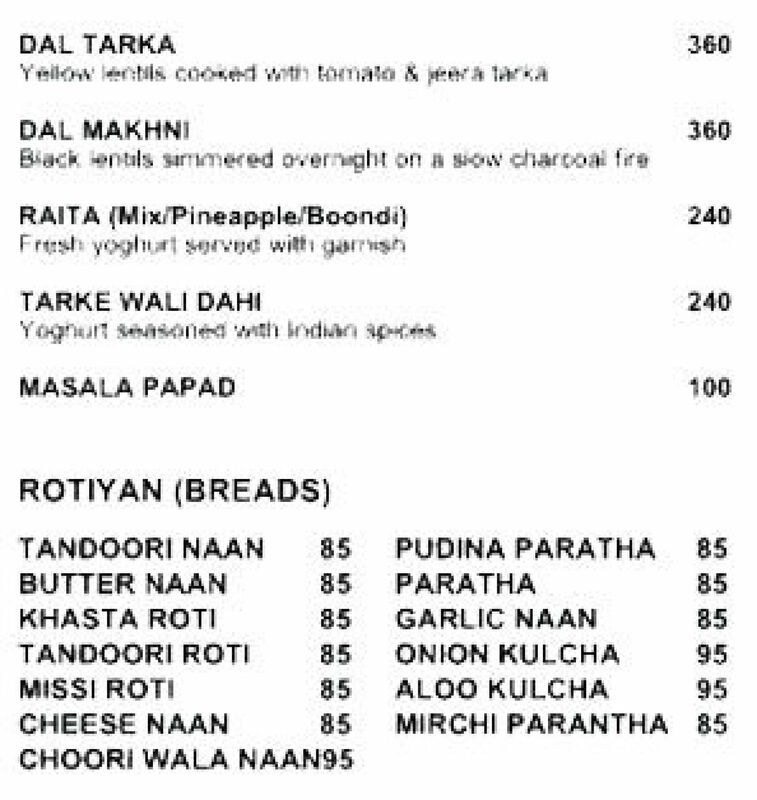 With a basket of assorted hot buttery naans tackle their wide range of curries like, Punjabi fish curry, paneer akbari, lal maas, malai kofta, murgh mumtaz, makki khumbh masala, rarra meat, dal tarka, paneer kundan kalian, martban meat, chicken boti masala and banarasi dum aloo. The chapli kebab and the chicken chargha are their signature dishes here.